This jewel was formerly one of the French Crown Jewels, designed by the Parisian firm of Bapst for the Empress Eugénie, wife of Napoléon III, during the Second Empire. In May of 1887, after the Fall of the Second Empire, the French Ministry of Finance ordered the Crown Jewels to be sold at auction. 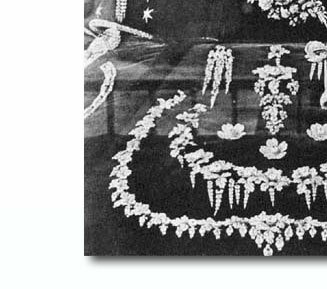 The elegant jewel was described as a Pendant Hair Ornament set with 477 brilliant diamonds weighing 66.85 metric carats. It is illustrated in the engravings of the catalogue of the Crown Jewels sale in 1887 as no.8. According to the present owner, this jewel has been in his family collection since the early 1900s. The jewel comprises a brooch designed as a cluster of three pavé-set leaves, highlighted by four larger brilliants surrounding the centre leaf. 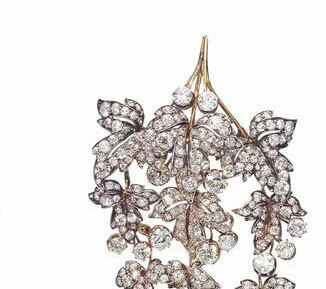 Suspended from the brooch are cascading strands of articulated links echoing the leaf motif, each of the three strands terminating in graduated fringes, or pampilles, of brilliant diamonds. 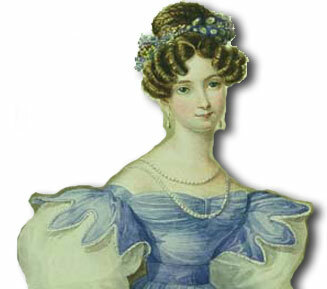 The style of the brooch reflects the popular taste for jewels in the naturalistic style, which lasted throughout the 19th century. Artists and jewellers inspired by the Romantic movement spoke in a language of flowers through the use of plant and floral motifs, which often conveyed a secret message of love or affection. We might assume that the leaves in the pendant hair ornament were intended by Maison Bapst to be currant leaves with surrounding clusters of currant berries; the currants relaying the message you please all. 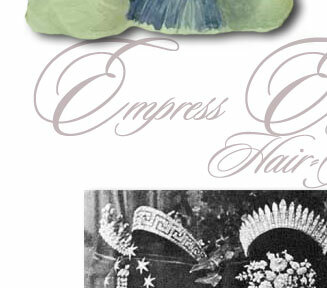 The pendant hair ornament is displayed adjacent to Bapsts currant leaf parure in both the 1884 exhibition of the French Crown Jewel images, as well as the engravings in the 1887 sale catalogue. 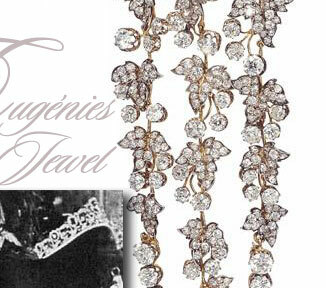 The Empress Eugenie, for whom the jewel was designed, was the epitome of style and elegance. An avid lover of jewellery and fashion, she was able to wear haute joaillerie to its greatest advantage by reviving the style for huge dresses, which certainly acted as backdrops for certain pieces. 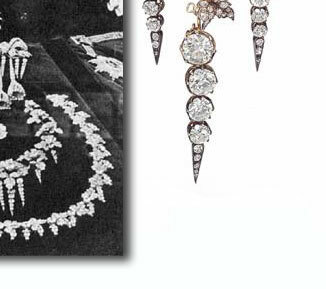 The diamond pendant hair ornament should be of great interest to both jewellery historians and collectors throughout the world. Jewels of Royal provenance, and particularly those from the sale of the French Crown Jewels in 1887, seldom appear on the market.